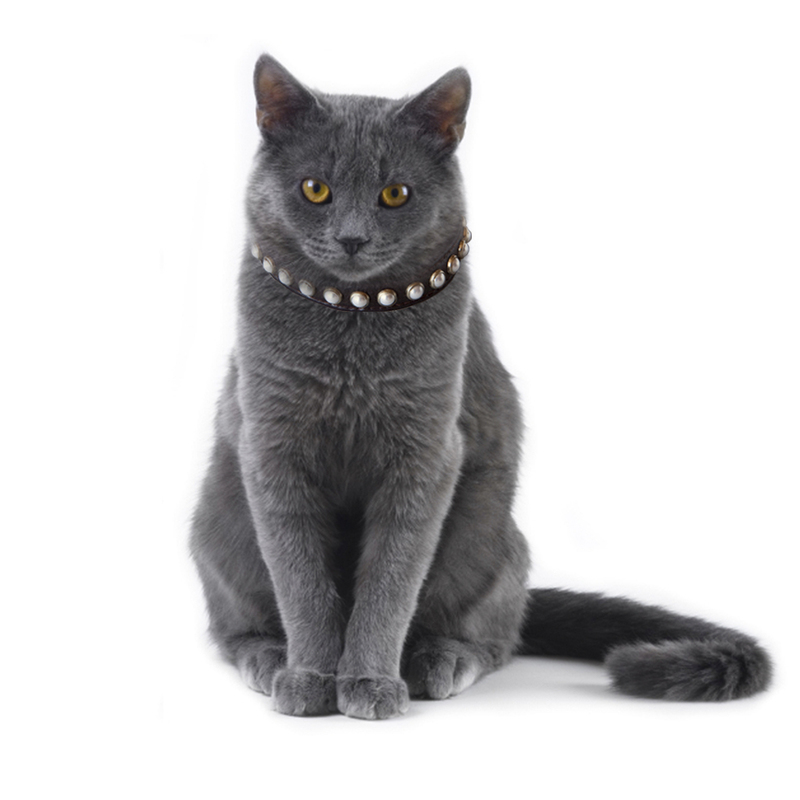 Strut with understated elegance with this stunning pearl collar. 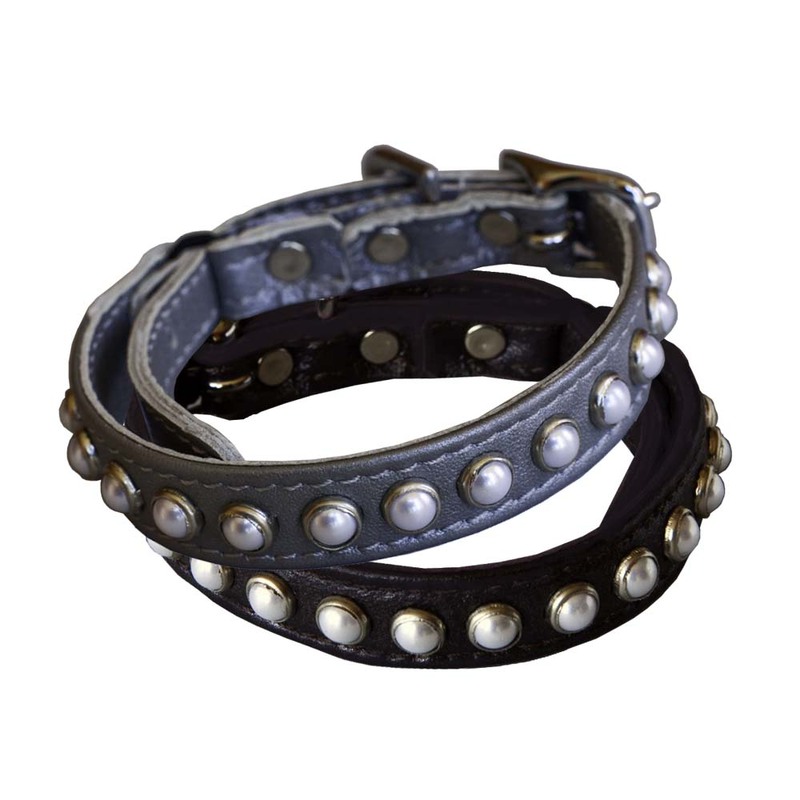 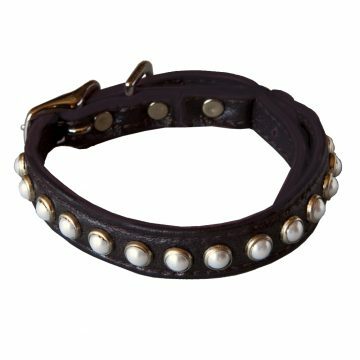 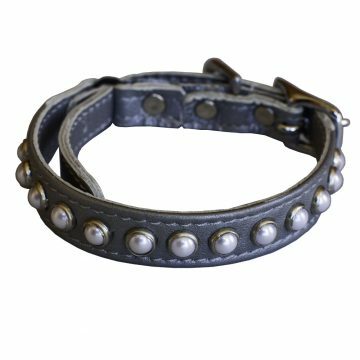 Leather cat collar with a band of pearls. 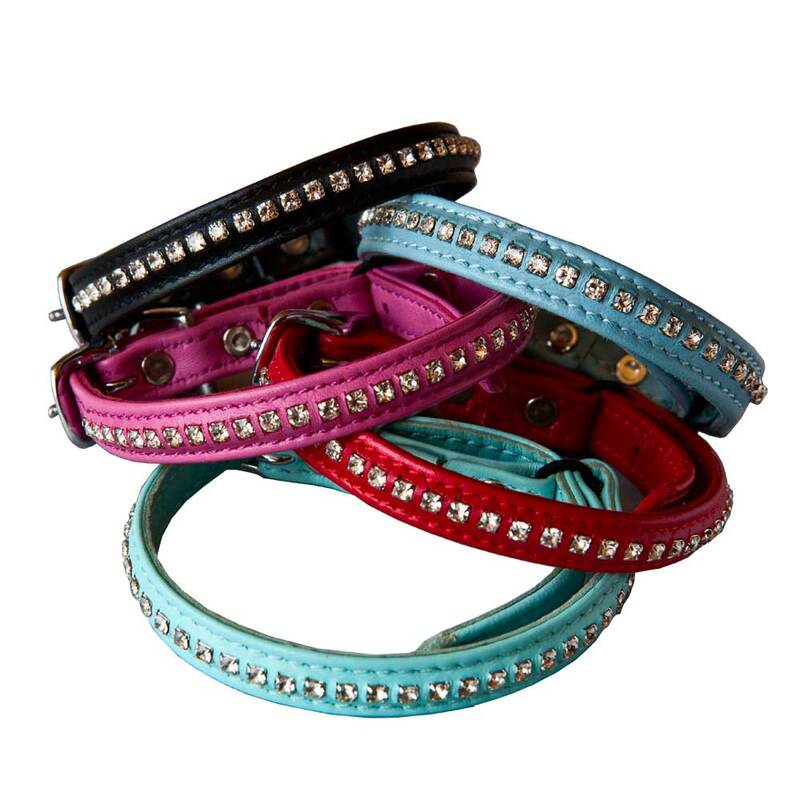 Lined in leather. Fairy Tale (Silver): True grace.